*Online Premiere* Wallace L. Graybill, a neuroscientist studying Schizophrenia, aims to revive his research with new funding, but is taunted by the powers that be. 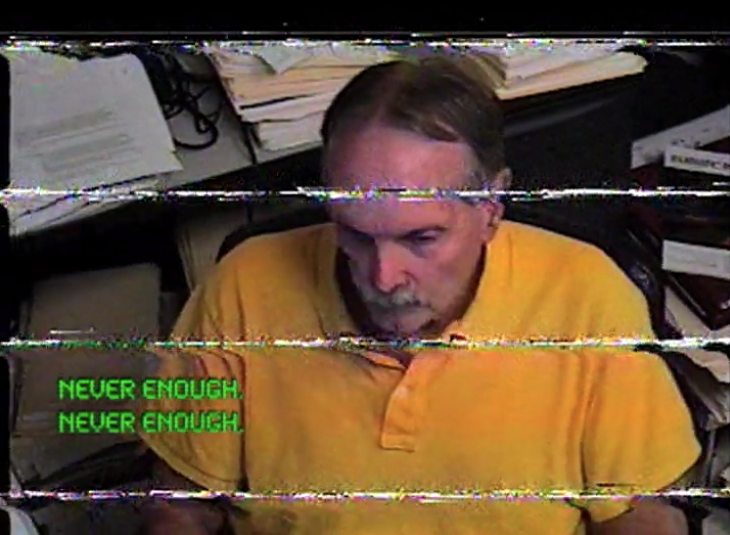 As its title suggests, “foundfootagexx100n.s.1,” is not your average exploration into the vagaries of grant funding, but rather a strangely hysterical, VHS-inflected dark comedy that calls into question not only the life work of a brilliant scientist, but in fact, the life work of us all. What are we fighting for? Who’s in control here? 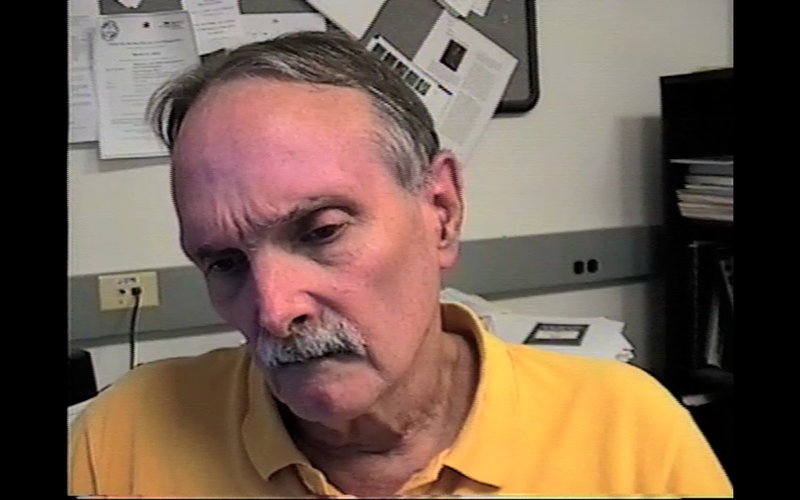 Director Tony Grayson employs an omniscient computer voice narrator to set the scene, “Let us see what happens when the scientist becomes the science-ed.” Much of the humor in the film comes via errors and quirks in the way the computer speaks, and the unflinching cruelty which it seemingly employs, “Let us toss him a bone like a dog,” the voice says when granting the scientist his long-awaiting funding, only to retract it moments later. A couple of interpretations are possible here: that the voice represents some form of Singularity where AI has dominion over humans and treats us in ways we would characterize as ruthless. Another explanation is that the voice functions as a stand-in for government funding (or the funding of anything, anywhere), with constantly shifting, and oft-times seemingly random priorities. Either way, it’s a fascinating bit of lo-fi satire about striving in a possibly hopeless world. [Watch on YouTube]. (6 minutes). Written, directed, edited by Tony Grayson. Music by Dan Wilcop. Starring Dennis R. Grayson. Post-production supervisor: Michael J. Gerrity.